The Wujin National Hi-Tech Industrial Zone's (WIZ) tailored Clean Energy Roadmap benchmarks the City's current energy efficiency, renewable energy, and clean transportation policies and programs. Each objective in this framework is supported by the latest and greatest resources available globally to guide local governments and their constituents in creating sustainable communities powered by clean energy. The City has already implemented a significant number of supportive policies and programs, which has positioned it well for explosive clean energy market growth. A building envelope consists of all the elements of a building that separate its interior from the exterior environment. This includes external walls, insulation, windows, doors, and roofing. Leading technologies include high performance insulation, proper air sealing, low-emissivity windows, and reflective roofing surfaces. Advanced building envelope design and materials can reduce heating, cooling, and lighting energy usage, as well as lower associated building operating costs. [Z1] Ensure building energy code meets advanced building envelope efficiency standards for municipal buildings. Guidance: Establish a task force to review and update the local building code to ensure that it meets minimum energy efficiency standards, such as those laid out by ASHRAE or the California Building Energy Efficiency Standards, for building envelope components including insulation, fenestration, and sealing and ventilation. [Z2] Ensure building energy code meets advanced building envelope efficiency standards for commercial buildings. [Z3] Encourage use of cool roofs on municipal and commercial buildings to reduce energy demand. [Z4] Adopt high efficiency wall and roof insulation requirements for new construction and major renovations. Guidance: Update local building code to incorporate high-efficiency interior and exterior insulation requirements for new construction and renovations. Use ENERGY STAR specifications, the California Building Energy Code, or a comparable guideline as guidance. [Z5] Adopt high efficiency window requirements for new construction and major renovations. Guidance: Update local building code to incorporate high efficiency window (fenestration) requirements for new construction and renovations to conserve energy. Use ENERGY STAR specifications, the California Building Energy Code, or a comparable guideline as guidance. [F1] Create a low-interest loan financing program for building envelope and weatherization projects. Guidance: Encourage local financial institutions to establish low-interest financing programs for clean energy upgrades. Promote existing programs through community outreach channels. [F2] Create and publicize incentives for building envelope and weatherization upgrades. Guidance: Publicize available rebates and incentives for building envelope upgrades and weatherization that are offered by state, federal, and local governments as well as the local utility. This can be done via marketing materials or by providing information on the municipal web site. [F3] Ensure building envelope upgrades are eligible in local Propery Assessed Clean Energy (PACE) program. Guidance: Explore joining a Property Assessed Clean Energy (PACE) financing program where allowed. Ensure that building envelope upgrades are an eligible energy upgrade measure. [M1] Provide educational materials related to building envelope and weatherization upgrades to the community. Guidance: Publicize building envelope resources to local residents and businesses via marketing materials and brochures, or by providing links and information on the municipal web site. [M2] Publicize weatherization programs that are currently available to the community. Guidance: Promote weatherization and building envelope upgrades programs, such as those offered through state agencies, utility partnerships, and community organizations. [M3] Create an energy savers program to provide technical assistance for building retrofits. Guidance: Explore partnering with the local utility and/or community organizations to establish an energy efficiency technical assistance program for residents and local businesses. [M4] Provide training resources to the services/technical community through easily accessible links on the municipal website. Guidance: Publicize trainings and educational resources related to building envelope upgrades and building energy efficiency to local contractors through various community outreach channels. Consider organizing a training event to generate awareness of local codes and standards. [M5] Explore a green building retrofit pilot project that focuses on a high performance building envelope for a municipal facility. [M6] Implement program to assess all municipal building rooftops for clean energy project opportunities. Guidance: Convene a stakeholder group to survey the municipal building rooftop portfolio and identify project opportunities, such as cool roof and green roof implementation and other relevant weatherization upgrades. [U1] Provide educational materials related to building envelope and weatherization upgrades to residential customers. Guidance: Publicize building envelope resources, energy saving tips, and relevant rebates to customers via the utility website or mail campaigns. [U2] Provide educational materials related to building envelope and weatherization upgrades to commercial customers. [U3] Create an on-bill financing or repayment program for customer building envelope and weatherization upgrades. Guidance: Convene a working group to evaluate the feasibility of establishing an on-bill financing program for building envelope upgrades and other energy efficiency measures, with consideration to consumer lending laws and available financing resources. [U4] Create a building envelope and weatherization upgrade assistance program for income-qualified customers. Guidance: Convene a working group to develop a building envelope and upgrade assistance program for qualifying customers, such as seniors, disabled persons, and low-income households. [U5] Create a rebate program for customers to encourage building envelope and weatherization upgrades. Guidance: Convene a working group to evaluate the feasibility of a building envelope upgrade program that offers incentives for building envelope components such as energy efficient windows, insulation, and air-source heat pumps. 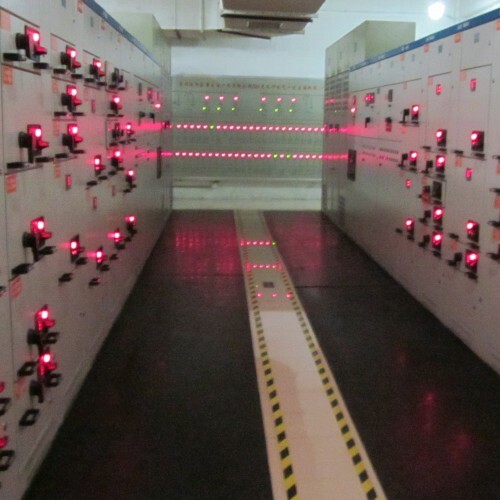 Advanced lighting technologies currently being deployed are fluorescent and LEDs. LEDs are generally the most efficient lighting technology on the market and their longer operating life provides additional benefits, such as lower maintenance costs. Additionally, LED lamps generate less heat, which reduces energy loads required for space cooling. When combined with sensor technologies and building energy management systems, advanced lighting retrofit projects can provide significant savings. [Z1] Adopt building code that requires high-efficiency lighting in new municipal buildings and major retrofit projects. Guidance: Establish a task force to review and update the local building code to ensure that it meets minimum energy efficiency standards for interior and exterior lighting, such as those laid out by ASHRAE or the California Building Energy Efficiency Standards. [Z2] Adopt a local ordinance that requires high-efficiency lighting in new commercial buildings and major retrofit projects. Guidance: Enact an ordinance that establishes mandated energy efficiency standards for lighting in new commercial buildings or major retrofit projects, including the use of LED lighting or high-efficiency lightbulbs. Standards can be modeled after ASHRAE standards, ENERGY STAR specifications, the California Building Energy Efficiency Standards, or a comparable guideline. [Z99] [DELETE] Adopt accelerated permitting procedures for new and major retrofit projects that incorporate high-performance lighting technologies. [F1] Publicize available incentives for residential and commercial lighting upgrades on municipal website. Guidance: Publicize available rebates and incentives for high-efficiency lighting upgrades that are offered by state, federal, and local governments as well as the local utility. This can be done via marketing materials or by providing information on the municipal web site. [F2] Publicize ability of energy savings performance contracts to finance commercial and municipal lighting upgrades. Guidance: Convene a working group to evaluate the potential for implementing lighting upgrades in municipal facilities through energy savings performance contracting. Include information related to energy savings performance contracting and its commercial applicability on a designated clean energy finance page on the municipal website. [F3] Ensure lighting upgrades are eligible in local Propery Assessed Clean Energy (PACE) program. Guidance: Explore joining a Property Assessed Clean Energy (PACE) financing program where allowed. Ensure that lighting upgrades and lighting controls are an eligible energy upgrade measure. [F4] Create working group to explore creation of revolving loan fund for municipal clean energy upgrades. Guidance: Establish a working group to discuss the establishment of a green revolving fund, which can establish a sustainable funding cycle for lighting upgrades and other clean energy projects. Identify sources of capital and steps to implementation. [M1] Provide educational resources related to high-efficiency lighting options to build community awareness. Guidance: Publicize energy efficiency resources that address lighting options to local residents and businesses via marketing materials and brochures, or by providing links and information on the municipal web site on a designated clean energy page. [M2] Publicize community-based programs that provide energy audits to residents and businesses. Guidance: Promote existing energy upgrade programs to residents and local businesses, or explore partnering with local community organizations to create a program offering free or low-cost energy audits and technical assistance to improve energy efficiency. [M3] Conduct a municipal building portfolio lighting audit to identify upgrade opportunities. Guidance: Convene a working group to plan and implement an energy audit of all municipal buildings. Identify cost-effective exterior and interior lighting upgrade project opportunities to create an action plan. [M4] Implement a LED street lighting retrofit program. [U1] Provide educational resources on high-efficiency lighting options to utility customers. Guidance: Publicize high-efficiency lighting resources, energy saving tips, and relevant rebates to customers via the utility website or mail campaigns. [U2] Create a rebate program for high-efficiency lighting upgrades for residential customers. Guidance: Convene a working group to evaluate the feasibility of a lighting upgrade program for residential customers that offers incentives for high-efficiency electric ballast lights and LED lighting. [U3] Create a high-efficiency lighting upgrade rebate program for commercial customers. Guidance: Convene a working group to evaluate the feasibility of a lighting upgrade program for commercial customers that offers incentives for high-efficiency interior and exterior building lighting, advanced lighting controls, and related improvements. [U4] Explore the creation of an on-bill financing or repayment program for utility customers. Guidance: Convene a working group to evaluate the feasibility of establishing an on-bill financing program for lighting systems and controls upgrades and other energy efficiency measures, with consideration to consumer lending laws and available financing resources. [U5] Offer energy audits to residential customers through a utility-run program or partnership. Guidance: Convene a working group to evaluate the feasibility of designing and funding an energy upgrade and technical assistance program for residential utility customers. Explore opportunities to partner with local governments, community organizations, and workforce development programs. [U6] Offer energy audits to commercial customers through a utility-run program or partnership. Guidance: Convene a working group to evaluate the feasibility of designing and funding an energy upgrade and technical assistance program for commercial utility customers. Explore opportunities to partner with local governments, community organizations, and workforce development programs. Heating and cooling our residential and commercial buildings accounts for an increasingly large portion of total energy use worldwide. Adopting high-efficiency HVAC systems while expanding the use of modern biomass, geothermal, solar thermal, and ambient energy would contribute significantly to achieving clean energy goals. [P1] Create a webpage or document that provides an overview of the permitting process for high efficiency HVAC systems. Guidance: Provide clear written instructions on permitting and inspection processes for HVAC systems on the municipal website. Include a checklist of required application materials and permits, a permit fee schedule, as well as information regarding available rebates and incentives. [P2] Offer expedited permitting or priority plan check for qualifying HVAC systems. Guidance: Consider an expedited plan check or over-the-counter permit (OTC) approval process for qualifying HVAC projects that meet structural or aesthetic requirements. [P3] Reduce or eliminate permitting fees for high efficiency HVAC systems. Guidance: HVAC system permit fee should be based on cost recovery or a flat fee and subject to a reasonably determined fee cap. [P4] Create an HVAC inspection checklist for building officials and make publicly available. Guidance: Utilize a standard inspection checklist for HVAC systems that contains local code requirements, points of emphasis, and common issues. Make checklist available to public via municipal web site. [Z1] Incorporate high efficiency HVAC system deployment into long-term planning documents. Guidance: Highlight high-efficiency HVAC systems as a strategy to improve community-wide energy efficiency and building energy performance within energy action plans and climate action plans, as well as broader local and regional planning efforts. [Z2] Require HVAC systems in municipal and commercial buildings to meet energy efficiency standards. Guidance: Encourage non-residential properties to utilize ENERGY STAR-certified HVAC equipment (or equipment that meets a comparable standard) to meet energy efficiency standards mandated by local building codes or an energy efficiency ordinance. [Z3] Adopt a regular O&M process for HVAC systems in municipal buildings. Guidance: Develop an operations and maintenance plan to ensure optimal performance of energy-intensive equipment in municipal facilities, including HVAC systems, and to extend their useful service life. Create a master schedule for preventive/predictive maintenance, best practice guidelines and maintenance checklists, as well as a master equipment list that features equipment specifications, history record files, and as-built blueprints. 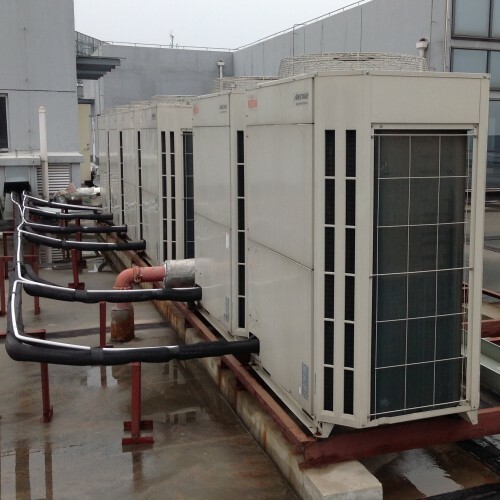 [F1] Publicize existing incentives to support the adoption of high efficiency HVAC systems. Guidance: Publicize available rebates and incentives for HVAC systems that are offered by state, federal, and local governments as well as the local utility. This can be done via marketing materials or by providing information on the municipal web site. [F2] Collaborate with local financial institutions to provide loans for high efficiency HVAC systems. Guidance: Encourage local financial institutions to establish low-interest financing programs for clean energy upgrades and evaluate the feasibility of a public-private partnership. Promote existing programs through community outreach channels. [F3] Ensure that high efficiency HVAC systems are eligible in local Property Assessed Clean Energy (PACE) program. Guidance: Explore joining a Property Assessed Clean Energy (PACE) financing program where allowed. Ensure that HVAC system installations are an eligible energy upgrade measure. [M1] Provide educational materials related to high efficiency HVAC systems to build community awareness. Guidance: Publicize energy efficiency resources that address HVAC systems to local residents and businesses via marketing materials and brochures, or by providing links and information on the municipal web site. [M2] Explore the creation of a pilot project that focuses on a high performance HVAC system for a municipal facility. Guidance: Convene a working group to plan and implement a high performance HVAC system retrofit at a public facility to decrease operational costs associated with heating and cooling and engage the community. A retrofit program may be financed through an energy savings performance contract, a green revolving fund, or any other number of ways. [U1] Provide educational materials related to high efficiency HVAC systems to build awareness among customers. Guidance: Publicize educational resources regarding high-efficiency HVAC systems and applicable rebates to customers via the utility website or mail campaigns. [U2] Create an incentive program for HVAC system upgrades. Guidance: Convene a working group to evaluate the feasibility of an HVAC upgrade program for utility customers that offers incentives for high-efficiency heating and cooling equipment, ductless heating systems, system maintenance service, and related improvements. [U3] Create an on-bill financing or repayment loan program for eligible HVAC technologies. Guidance: Convene a working group to evaluate the feasibility of establishing an on-bill financing program for HVAC system upgrades and other energy efficiency measures, with consideration to consumer lending laws and available financing resources. Demand-side management (DSM) includes energy efficiency and demand response technologies, which allow energy users to act as virtual power plants. Electric utilities offer various programs to help customers adopt DSM technologies and get compensated for turning off lighting, air conditioning, pumps, and other non-essential equipment during peak consumption periods. [Z1] Require energy benchmarking and public disclosure for all municipal buildings. Guidance: Establish a policy that requires annual benchmarking of municipal facilities and publicly disclose the results in an energy performance report. [Z2] Require energy audits to be conducted for municipal facilities every five years. Guidance: Enact an ordinance that mandates energy audits for municipal facilities on a regularly scheduled basis, in order to track building energy performance and identify potential interventions. [Z3] Require energy benchmarking and public disclosure for all commercial buildings over 10,000 square feet. Guidance: Establish a policy that requires regularly scheduled benchmarking of commercial and non-residential facilities over 10,000 square feet in area and publicly disclose the results in an energy performance report. [F1] Publicize availability of rebates and tax incentives available for residential and commercial DSM projects. Guidance: Publicize available rebates and incentives for demand-side management technologies and programs that are offered by state, federal, and local governments as well as the local utility. This can be done via marketing materials or by providing information on the municipal web site. [F2] Explore innovative financing mechanisms for municipal DSM upgrades. Guidance: Convene a working group to evaluate the potential for installing demand-side management technologies, such as energy storage systems and advanced energy controls, in municipal facilities through energy savings performance contracting. Include information related to energy savings performance contracting and its commercial applicability on a designated clean energy finance page on the municipal website. [F3] Ensure DSM technologies are eligible for local Propery Assessed Clean Energy (PACE) program. Guidance: Explore joining a Property Assessed Clean Energy (PACE) financing program where allowed. Ensure that demand-side management technologies are an eligible energy upgrade measure. [M1] Provide educational resources regarding DSM technologies to build community awareness. Guidance: Publicize demand side management educational resources, including energy-saving behavioral tips, to local residents and businesses via marketing materials and brochures or by providing links and information on the municipal web site. [M2] Create an energy inefficient appliance trade-in program for residential and commercial property owners. [M3] Require ENERGY STAR qualified product purchasing requirements for municipal agencies. Guidance: Convene a working group to update procurement policies and guidelines to specify energy efficiency as a criteria in purchasing decisions. Policies can specify the required use of ENERGY STAR certified products or similar product energy efficiency standards. [M4] Publicize retrocommissioning training and certification programs. [M5] Explore the creation of a pilot project at a municipal facility that focuses on advanced DSM technologies. Guidance: Organize a stakeholder meeting for planning and implementing an advanced demand side management pilot program at a public facility as a strategy to generate cost savings and increase grid reliability and community engagement. A pilot program may be financed through an energy savings performance contract, a green revolving fund, or any other number of ways. [U1] Provide educational resources regarding DSM technologies to customers. Guidance: Publicize demand-side management technologies and energy efficiency resources, energy saving tips, and relevant rebates to customers via the utility website or mail campaigns. [U2] Create a demand response program for residential utility customers. Guidance: Establish a working group to develop and implement a demand response program for residential customers that offers special rates or other pricing incentives to reduce energy demand at peak times. [U3] Create a demand response program for commercial and industrial utility customers. Guidance: Establish a working group to evaluate the feasibility of a demand response program for commercial and industrial customers. Evaluate demand response program structures that promote grid stability in the most cost-effective manner, such as scheduled loan reductions, peak day pricing schedules, bidding programs, and more. [U4] Promote peak load shifting technology and automated demand response technologies. Guidance: Publicize energy efficient technologies that reduce baseline energy consumption and shift energy loads in periods of high demand to utility customers, such as advanced building energy control systems and thermal storage systems. Provide resources regarding technologies as well as any applicable incentives on the utility website or in mailings. [U5] Create an on-bill financing or repayment program for customer DSM upgrades. Guidance: Convene a working group to evaluate the feasibility of establishing an on-bill financing program for demand side management technologies and other energy efficiency measures, with consideration to consumer lending laws and available financing resources. [U6] Establish time-of-use (TOU) pricing to encourage consumer demand response. Guidance: Establish a working group to develop a time-of-use rate with electricity prices that are designed to induce changes in patterns of electricity consumption, such as reduce energy use during peak days in the summer. Photovoltaic systems, also know as solar PV or solar electric, generate electricity directly from sunlight. Reductions in costs of materials and processes have driven exponential growth in demand for solar PV systems, which are being installed on homes, businesses, schools, and government buildings across the country. In many states, solar power is already at or below standard offer pricing offered by electric utilities and new ownership models are increasing access and affordability. Guidance: Consider adopting a standard application form specific to solar PV for qualifying projects under 10kW. Guidance: If a standard PV application form is adopted per goal [P1], make the form available online in an easily accessible location. Guidance: Allow email submittal of permit application forms for qualifying projects. Guidance: Require only a single application submittal. If multiple departments review the application, manage the routing internally. Guidance: Post information on the solar permitting and inspection process online in an easily accessible location. This should include the process steps, timelines, fees, point of contact, and any other pertinent information. Guidance: Consider an expedited or over-the-counter permit approval process for qualifying PV projects using a standard application form (see goal P1). For all projects, issue or deny permit within 3 business days of submittal for residential and within 5 business days for commercial. Guidance: Base residential permit fees on cost recovery, or if a flat fee is used keep the fee amount under $250. Guidance: Base commercial permit fees on cost recovery, or if a flat fee is used keep the fee amount under $500. Guidance: Perform inspection within 2 business days of request. Guidance: Provide an appointment window of 2 hours or less if possible. Provide real time updates prior to arrival so contractor is aware and prepared. Guidance: Require only a single permit inspection. If additional inspections are required during installation, conduct in a manner that does not require installer to halt work. Guidance: Utilize a standard inspection checklist for PV systems. The checklist serves as a guide for inspectors and installers containing points of emphasis and common issues. Guidance: For qualifying residential systems meeting certain criteria, allow an exemption from structural analysis or structural PE stamp requirements. Guidance: Be aware of and consider accepting new solar standards from most recent code cycles. Guidance: Create local ordinances which would protect property owners' right to install solar and ensure their property has unobstructed access to direct sunlight. Guidance: Explore creation of municipal ordinances which require new homes and buildings to be built solar-ready. Guidance: Explore implementing solar mandates for new construction for all buildings or a segment of the new building stock. Guidance: Include solar development goals in long term planning documents. Guidance: Ensure the zoning codes and ordinances that govern solar installations, such as setbacks, height limits and lot use provisions, do not restrict property owners' ability to install solar. Guidance: Ensure the zoning codes and ordinances that govern solar installations in aesthetically sensitive areas do not adversely affect property owners' ability to install solar. Allow staff members to review and approve applications when possible rather than requiring committee or planning commission review. 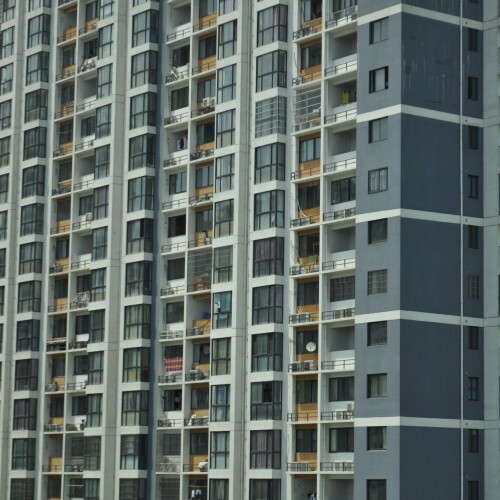 Guidance: Work with condo owner and homeowners associations to ensure that their covenant, conditions, and restrictions and bylaws do not create undue barriers to solar installations. Guidance: Support efforts to ensure state-level utility regulations do not restrict these finance mechanisms. Guidance: Support efforts to ensure state-level utility regulations allow community solar projects. Guidance: Encourage efforts to set up a regional utility-sponsored Community Solar Program. If Community Solar is proven to be viable in the region, jurisdiction could assist in helping to recruit subscribers through existing networks. Guidance: Support efforts to develop state-level legislation enabling local PACE programs. Guidance: Establish a working group to evaluate the potential of a PACE financing program for clean energy upgrades in your jurisdiction based on national examples by local municipalities. Guidance: Encourage local financial institutions to establish loan programs for solar energy systems. Guidance: Publicize the availability of local solar finance options and solar evaluation tools for potential buyers. This can be done via webinars, marketing materials, or by providing links and information online. Guidance: Support the creation of a working group of community leaders and funding providers. This group would evaluate options and determine the most viable approach for aggregating residential solar based on best practices to date. 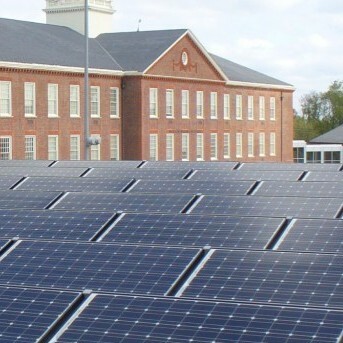 Guidance: Establish a working group of businesses and commercial property owners to leverage their solar purchasing power by aggregating facilities for solar evaluation and procurement to reduce energy costs while demonstrating community leadership. Guidance: Establish a working group to identify solar feasibility at municipal landfill and water treatment sites. Guidance: Establish a working group to explore solar development options across the state, following the best practices and case studies provided. Share information with market stakeholders. Guidance: Provide online access to training programs and resources for the installer community and potential workforce and organize an outreach and/or training event in order to generate awareness and understanding. Guidance: Help promote the availability of online tools and resources for the residential, commercial, and municipal solar markets through existing networks. Solar water heating systems, also called solar thermal or domestic hot water systems, can be a cost-effective way to generate hot water for residential housing and businesses with high hot water demand, such as hotels or laundromats. There are two types of SWH systems: active, which have circulating pumps and controls, and passive, which don't. SWH systems include solar collectors and storage tanks. [P1] Adopt a standardized permitting application form for SWH systems. Guidance: Adopt a standard permit application for solar water heating systems that at minimum includes a plot plan, an in-line plumbing sketch, roof structure details, manufacturer information, and scald protection specifications. [P2] Provide a submittal checklist for all SWH permitting requirements in a single online location. Guidance: Provide clear written instructions on permitting and inspection processes for solar water heater systems on the municipal website. Include a checklist of required application materials and permits, a permit fee schedule, as well as information regarding available rebates and incentives. [P3] Offer expedited permitting or priority plan check for SWH projects. Guidance: Consider implementing an expedited plan check or over-the-counter permit (OTC) approval process for qualifying solar water heater projects that utilize a standard application form. Qualifying projects can be those that meet structural requirements. [P4] Place a cap on permitting fees for residential SWH systems, or base fees on cost recovery. Guidance: Solar water heater system permit fees should be based on cost recovery or a tiered fee schedule according to system size, and subject to a reasonably determined fee cap. [Z1] Encourage SWH development within sustainability plans and green building codes. Guidance: Promote solar water heaters as an efficient and cost-effective energy conservation technology within green building codes, energy action plans and climate action plans, as well as broader local and regional planning efforts. [Z2] Require new residential construction to be "solar ready", including easy plumbing access for solar water heating systems. Guidance: Adopt a municipal ordinance which requires new residential construction to meet pre-plumbing and pre-wiring requirements for solar water heating systems. Ordinance can update the building code, or expand permitting requirements to include solar-readiness. [Z3] Adopt a solar access ordinance to ensure property owners have unobstructed access to direct sunlight. Guidance: Adopt a solar access ordinance that protects the rights of property owners to install solar energy systems and ensures unobstructed access to direct sunlight after the system is installed. [Z4] Create an ordinance that requires certain new buildings to meet a part of domestic hot water demand with solar energy. Guidance: Consider adopting an ordinance that mandates the use of solar water heating systems in qualifying new construction to meet a minimum share of domestic hot water demand. Qualifying new construction includes those whose siting and roof tilt is ideal for solar energy devices. [Z5] Ensure that private convenants do not create undue barriers to solar water heating installations. Guidance: Consult with local homeowners associations to ensure that their covenant, conditions, and restrictions and bylaws do not create undue barriers to solar installations. Ideally, dispute resolution mechanisms are laid out in this process. [Z6] Require new swimming pools to utilize solar heating as a primary heating source. Guidance: Enact an ordinance requiring qualifying new swimming pools to utilize solar water heating systems. [F1] Work with local financial institutions to create a low-interest loan program for residential SWH systems. [F2] Support third-party financing mechanisms for SWH systems. Guidance: If state-level utility regulations do not restrict third-party financing mechanisms, publicize third-party financing for solar water heating systems to local residents and businesses. [F3] Ensure that SWH installations are eligible in local Propery Assessed Clean Energy (PACE) program. Guidance: Explore joining a Property Assessed Clean Energy (PACE) financing program where allowed. Ensure that solar water heating system installations are an eligible energy upgrade measure. 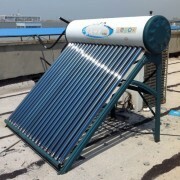 [M1] Provide educational resources regarding solar water heating to the community. Guidance: Publicize educational resources regarding solar water heating systems and their benefits to local residents and businesses via marketing materials and brochures, or by providing links and information on the municipal web site. [M2] Publicize workforce trainings and educational resources related to SWH to local installer community. Guidance: Publicize trainings and educational resources related to solar water heating systems to local contractors through various community outreach channels. Consider organizing a training event to generate awareness of local codes and standards. [M3] Support the organization of a solar water heater bulk purchase program for the residential sector. Guidance: Support the creation of a working group composed of community stakeholders and funding providers. This group would evaluate options and determine the most viable approach for a bulk purchase program. [M4] Adopt a sales tax exemption or property tax exemption for SWH systems. Guidance: Explore the feasibility of enacting property tax and sales tax exemptions for solar water heaters that are sold and installed on properties within the jurisdiction. [U1] Provide educational material related to SWH systems to utility customers. Guidance: Publicize educational resources regarding solar water heating systems and relevant rebates to customers via the utility website or mail campaigns. [U2] Create incentive program for residential customers to install SWH systems. Guidance: Convene a working group to evaluate the feasibility of offering an incentive to residential customers to reduce the costs of installing a solar water heating system. [U3] Create incentive program for commercial customers to install SWH systems. Guidance: Convene a working group to evaluate the feasibility of offering an incentive to commercial customers to reduce the costs of installing a solar water heating system. [U4] Create on-bill financing or repayment program to help customers pay for installation costs of SWH systems. Guidance: Convene a working group to evaluate the feasibility of establishing an on-bill financing program for solar water heating systems and other energy efficiency measures, with consideration to consumer lending laws and available financing resources. Wind energy is one of the leading renewable energy sources generating clean power nationally. Major types of wind energy systems are distributed or "small" wind or utility-scale wind (onshore and offshore). This focus area focuses on distributed wind energy systems that can be deployed in an urban setting, which is defined as turbines with a capacity rating less than or equal to 100 kW. [P1] Establish standardized permit requirements for small, residential-scale wind turbines. Guidance: Adopt a standard permit application for small-scale and residential wind energy systems that includes a site plan, an electrical plan, proposed height and height requirements information, turbine certification information, and other relevant permitting requirements that have been outlined by state law (see CA AB 1207) or neighboring jurisdictions. [P2] Establish standardized requirements for utility-scale wind energy systems that coordinates local, state, and federal permit submittals. Guidance: Provide developers with a fact sheet that outlines the zoning, permitting, and construction requirements associated with each government agency and jurisdiction involved in permitting utility-scale wind energy systems. Ideally, this fact sheet includes an estimated timeline for each review process. [P3] Create a webpage or document that provides an overview of the permitting and inspection of wind systems. Guidance: Provide clear written instructions on permitting and inspection processes for small-scale and residential wind systems on the municipal website. Include zoning regulations that wind energy systems may be subject to, a checklist of required application materials and permits, a permit fee schedule, as well as information regarding available rebates and incentives. [P4] Offer expedited permitting or priority plan check for qualifying wind energy systems. Guidance: Consider implementing an expedited permitting process, such as simplified structural reviews and online permit applications, for qualifying small-scale wind energy projects that meet allowed use zoning requirements. [P5] Place a cap on permitting fees for residential wind energy systems, or base fees on cost recovery. Guidance: Small-scale and residential wind energy system permit fees should be based on cost recovery or a tiered fee schedule according to system size, and subject to a reasonably determined fee cap. [P6] Create an inspection checklist for building officials and make publicly available. Guidance: Utilize a standard inspection checklist for small-scale wind energy systems that contains local code requirements, points of emphasis, and common issues. Make checklist available to public via municipal web site. [Z1] Integrate wind energy goals into long-term planning documents and strategic energy plans. Guidance: Advance the use of renewable energy by highlighting local wind energy potential and integrating wind energy development goals and planning recommendations within energy action plans and climate action plans, as well as broader local and regional planning efforts. [Z2] Update zoning code to protect property owners' ability to install wind energy systems based on defined conditions. Guidance: Update zoning code to specify where small-scale wind energy systems are considered an allowed use by right, and/or to allow for easements to be granted, in order to eliminate special reviews and lengthy permitting processes. [Z3] Update zoning code language to provide clarity on the siting, use, and installation of wind energy systems. Guidance: Adopt an ordinance that clearly specifies the local regulations that small-scale and commercial-scale wind energy systems are subject to, which may include siting and design requirements, noise limits, turbine and equipment standards, permit fees, and decommissioning. [F1] Publicize state and federal wind energy incentives to community. Guidance: Publicize available rebates and incentives for wind energy systems that are offered by state, federal, and local governments as well as the local utility. This can be done via marketing materials or by providing information on the municipal web site. [F2] Provide wind evaluation tools and available financing options. Guidance: Provide access to independent wind project evaluation tools and information about financing options, such as those available to agricultural producers and tribes, to the community via a clean energy resources page on the municipal web site. [F3] Encourage local financial institutions to offer loans for small-scale wind energy systems. [F4] Publicize information about wind lease programs to local landowners. Guidance: Provide landowners with information regarding wind leases and wind easement agreements, as well as common considerations and sample contracts (note that this information is not meant to serve as legal advice). This can be accomplished via community outreach or by providing information on the municipal web site. [F5] Ensure that small-scale wind energy systems are eligible in local Propery Assessed Clean Energy (PACE) program. Guidance: Explore joining a Property Assessed Clean Energy (PACE) financing program where allowed. Ensure that small-scale wind energy system installations are an eligible energy upgrade measure. [M1] Provide wind energy educational resources and tools to the community. Guidance: Publicize educational resources regarding small-scale and community wind energy systems to local residents and businesses via marketing materials and brochures, or by providing links and information on the municipal web site. [M2] Consider mapping wind resources and/or developing an inventory of possible sites for facilities. Guidance: Explore the feasibility of a high-level site evaluation process for wind energy systems that utilizes publicly available wind resource data from the Department of Energy, or data from another source. Suitable sites may be identified by using GIS to cross-reference zoning maps with resource potential data. [M3] Provide Small Wind Certification criteria and workforce development resources to installers. Guidance: Publicize trainings and educational resources related to wind energy systems to local contractors through various community outreach channels. Consider organizing a training event to generate awareness of local codes and standards as well as certification criteria for turbines. [M4] Organize training for local building officials on permit standards and development requirements. Guidance: Organize a training for local building and planning officials or publish an internal memo related to permitting standards and siting requirements for wind energy systems. [M5] Adopt a sales tax exemption or property tax exemption for small wind turbines. Guidance: Explore the feasibility of enacting property tax and sales tax exemptions for small-scale wind energy systems that are sold and installed on properties within the jurisdiction. [M6] Explore a community wind pilot project for residents and businesses on public land. Guidance: Convene a working group composed of relevant public officials, such as those from planning and public works departments, and community stakeholders to evaluate the feasibility of a community wind project that would supply energy to a public facility or to the grid. Geothermal energy is thermal energy generated and stored in the earth that can be harnessed by digging or drilling into the ground and using the temperature difference to heat and cool buildings. Recent technological advances have dramatically expanded the range and size of viable resources, especially for applications such as home heating, opening a potential for widespread exploitation. Geothermal energy can also be used to generate electricity on a utility-scale by utilizing underground reservoirs of steam to power turbines. [P1] Create a webpage or document that provides an overview of the permitting process for geothermal energy systems. Guidance: Provide clear written instructions on permitting and inspection processes for ground source heat pumps on the municipal website. Include a checklist of required application materials, state and federal regulations that the system may be subject to in addition to local regulations, a permit fee schedule, as well as information regarding available rebates and incentives. [P2] Offer expedited permitting or priority plan check for qualifying residential geothermal energy systems. Guidance: Consider implementing an expedited permitting process, through online permit applications and/or an accelerated plan review, for qualifying geothermal energy systems. [P3] Create an geothermal energy system inspection checklist for building officials and make publicly available. Guidance: Utilize a standard inspection checklist for ground source heat pump systems that contains local code requirements, points of emphasis, and common issues. Make checklist available to public via municipal web site. [P4] Reduce or eliminate permitting fees for residential geothermal energy systems. Guidance: Residential geothermal energy system permit fees should be based on cost recovery or a tiered fee schedule according to system size, and subject to a reasonably determined fee cap. [Z1] Incorporate geothermal energy into long-term planning documents. Guidance: Highlight the potential of geothermal energy to offset heating and cooling loads and improve building energy efficiency within energy action plans and climate action plans, as well as broader local and regional planning efforts. [Z2] Update zoning code language to provide clarity on the siting, use, and installation of geothermal energy systems. Guidance: Adopt an ordinance that clearly specifies the local regulations that geothermal energy systems are subject to, which may include siting and design requirements, environmental regulations and groundwater regulations, permit fees, and decommissioning guidelines. [Z3] Adopt a model ordinance for shallow geothermal heat exchange bores and wells. Guidance: Adopt an ordinance that clearly specifies the local regulations that geothermal heat exchange wells and boreholes are subject to, which may include siting, design, and construction requirements, environmental regulations and groundwater regulations, and decommissioning guidelines. [Z4] Develop recommended standards for the construction, maintenance, and decommissioning of geothermal heat exchange bores or wells. Guidance: In addition to minimum regulations pertaining to the siting and use of geothermal heat exchange wells and boreholes, specify recommended standards and guidelines for installation, operation, and decommissioning. Guidelines can highlight best practices for installers and operators to ensure reliability and public safety. [F1] Publicize available rebates and tax incentives for geothermal heat pump technologies. Guidance: Publicize available rebates and incentives for ground source heat pumps that are offered by state, federal, and local governments as well as the local utility. This can be done via marketing materials or by providing information on the municipal web site. [F2] Create a geothermal heat pump upgrade incentive program. Guidance: Establish a working group to evaluate the feasibility of a ground source heat pump incentive program for qualifying projects. [F3] Establish a working group to explore the eligibility of geothermal heat pumps in local PACE programs. Guidance: Explore joining a Property Assessed Clean Energy (PACE) financing program where allowed. Ensure that ground source heat pumps are an eligible energy upgrade measure. [M1] Publish educational materials related to geothermal systems to build community awareness. Guidance: Publicize educational resources regarding geothermal energy and ground source heat pumps to local residents and businesses via marketing materials and brochures, or via a clean energy resource page on municipal web site. [M2] Create a working group to explore the development of a pilot geothermal project in the community. Guidance: Convene a working group to evaluate the feasibility of implementing a ground source heat pump project at a public facility to offset heating and cooling loads and to demonstrate the benefits of energy-conserving technologies to the community. [M3] Organize a geothermal energy training workshop for code officials and residents. Guidance: Organize a training for local building and planning officials or publish an internal memo related to permitting standards and development requirements for ground source heat pumps as well as geothermal wells and bores. [M4] Establish a working group to explore the eligibility of geothermal heat pumps and associated RECs in your state's RPS. Guidance: Establish a working group composed of regional government agencies and local utilities to discuss incorporating geothermal energy as an eligible source of renewable energy credits in the state Renewable Portfolio Standard. [U1] Provide educational materials related to geothermal heat pump systems to build awareness among customers. Guidance: Publicize educational resources regarding ground source heat pumps and their energy saving potential as well as applicable rebates to customers via the utility website or mailings. [U2] Implement an on-bill financing or repayment program for customers that install geothermal heat pumps. Guidance: Convene a working group to evaluate the feasibility of establishing an on-bill financing program for ground source heat pumps and other energy efficiency measures, with consideration to consumer lending laws and available financing resources. [U3] Create GSHP incentive program to residential and commercial customers. Guidance: Convene a working group to evaluate the feasibility of an incentive program for residential and commercial customers that reduces the upfront costs of installing a closed or open-loop ground source heat pump. From biomass to biogas, bioenergy is a renewable, carbon neutral energy source that comes in many forms. Historically, bioenergy is one of the most common energy sources used across the world. Bioenergy includes any organic material that has stored sunlight in the form of chemical energy, such as wood, wood waste, straw, manure, sugarcane, and byproducts from a variety of agricultural processes. New technologies provide a way to harness this traditional renewable energy source in less polluting ways. [P1] Create a webpage or document that provides an overview of the permitting process for residential bioenergy systems. Guidance: Provide clear written instructions on permitting and inspection processes for residential bioenergy systems, such as solid fuel-burning appliance, on the municipal website. Include a checklist of required application materials, state regulations that the system may be subject to in addition to local regulations, a permit fee schedule, as well as information regarding available rebates and incentives. [P2] Create a webpage or document that provides an overview of the permitting process for commercial bioenergy systems. Guidance: Provide project developers with a fact sheet that outlines commercial-scale bioenergy system permitting process. Fact sheet should list the type of permits that are required, the relevant regulatory agencies involved in the review and permitting process, and if possible, an estimate of typical permitting costs and timelines. [P3] Offer expedited permitting or priority plan check for qualifying bioenergy systems. Guidance: Consider implementing an expedited permitting process or permitting exemptions for qualifying bioenergy system, such as residential biosystems or systems located at agricultural facilities. [Z1] Incorporate bioenergy into long-term planning documents. Guidance: Advance the use of renewable energy by highlighting local bioenergy potential from agriculture, local waste streams, and forests within energy action plans and climate action plans, as well as broader local and regional planning efforts. [Z2] Update zoning code to provide clarity on the siting, use, and installation of bioenergy systems, and publicize changes. Guidance: Adopt an ordinance that clearly specifies the local regulations that bioenergy systems are subject to, which may include air quality and environmental safety standards, zoning regulations, and design requirements. [F1] Publicize available rebates and tax incentives for bioenergy systems. Guidance: Publicize available rebates and incentives for bioenergy systems that are offered by state, federal, and local governments as well as the local utility. This can be done via marketing materials or by providing information on the municipal web site. [F2] Create an incentive program to support the adoption of residential bioenergy systems. Guidance: Convene a working group to evaluate the feasibility of an incentive program for installing residential bioenergy systems, such as pellet and biogas stoves. [F3] Create an incentive program for the agricultural community to use anaerobic digesters to capture methane from agricultural waste. Guidance: Convene a working group of relevant stakeholders, such as the regional air quality board and other government agencies, to evaluate the feasibility of a bioenergy incentive program for local agricultural producers. [F4] Encourage local financial institutions to create loans for small-scale bioenergy systems. [F5] Ensure bioenergy systems are eligible in local Propery Assessed Clean Energy (PACE) program. Guidance: Explore joining a Property Assessed Clean Energy (PACE) financing program where allowed. Ensure that bioenergy systems are an eligible energy upgrade measure. [M1] Provide bioenergy educational resources to build community awareness. Guidance: Publicize educational resources regarding bioenergy technologies, including residential-scale biogas systems and pellet stoves to commercial-scale anaerobic digesters, to local residents and businesses via marketing materials and brochures or via a clean energy resource page on municipal web site. [M2] Create a working group to explore biomass project development opportunities in the community. Guidance: Convene a working group of relevant stakeholders, such as local government agencies, agricultural producers, and waste water agencies, to evaluate the community for bioenergy project opportunities. [M3] Create a working group to explore the development of a pilot CHP biogas project at a landfill or waste water treatment site. Guidance: Convene a working group to evaluate local landfill or waste water treatment sites for bioenergy project opportunities, such as methane gas capture, combined heat and power systems, or anaerobic digesters. [M4] Create a wood stove upgrade initiative that encourages high efficiency or clean-burning stoves. Guidance: Partner with the local air quality management district or other relevant regional stakeholders to create a wood stove upgrade initiative that offers incentives for replacing inefficient wood-burning appliances. [M5] Establish a working group to explore the eligibility of bioenergy systems and associated RECs in the RPS. Guidance: Establish a working group composed of regional government agencies and local utilities to discuss incorporating electricity produced from bioenergy technologies as an eligible source of renewable energy credits in the state Renewable Portfolio Standard. [M6] Promote zero-waste and landfill reduction goals that include curbside composting with biogas capture. Guidance: Convene a working group of stakeholders, including local government agencies, the local waste management company, and community leaders, to evaluate the potential for a waste-to-energy program that utilizes residential organic waste as a fuel source for a community-scale bioenergy system. Energy storage is emerging as an important component of the electric power grid that holds transformational promise in the residential, commercial, government and utility sectors. Energy storage devices can help integrate renewable energy, whose power output cannot be controlled by grid operators, and provide frequency regulation and other services to increase grid reliability. Energy storage can also balance microgrids to achieve a good match between generation and load, while supporting grid resiliency. [P1] Incorporate battery system permitting requirements into existing renewable energy permits. [P2] Create a permitting and inspection process for battery systems with a ≥50 gallon capacity that complies with IFC guidelines. Guidance: For electrolyte battery systems with a storage capacity of 50 gallons or greater, adopt a permitting and inspection process that complies with Section 608 of the International Fire Code, a best practice standard for the siting and installation of stationary battery storage systems. [P3] Create energy storage inspection checklists for building officials and make publicly available. Guidance: Utilize a standard inspection checklist for energy storage systems, including battery systems and thermal storage systems, that contains local code requirements, points of emphasis, and common issues. Make checklist available to public via municipal web site. [P4] Place a fee cap on permits for energy storage systems or base fee on cost recovery. Guidance: Energy storage permit fees should be based on cost recovery or a flat fee and subject to a reasonably determined fee cap. Many jurisdictions have adopted tiered fee schedules based on system capacity. [P5] Support electric utility efforts to minimize grid impacts by notifying utility when energy storage systems permits have been issued. Guidance: Establish a formal process for notifying local utility when a permit for an energy storage system has been issued, as well as the system's projected capacity. [Z1] Incorporate energy storage deployment in long-term energy planning documents. Guidance: Incorporate locally relevant applications of energy storage systems into energy action plans and climate action plans, as well as broader local and regional planning efforts. Applications may include disaster preparedness, power reliability, or contributing to renewable energy goals. [Z2] Enact energy storage rights and access to interconnect. Guidance: For regions with a municipal utility, establish local regulations that ensure that customer-sited energy storage systems are afforded the same interconnection rights as other generation assets, such as small-scale generators and renewable energy systems. [Z3] Integrate relevant energy storage regulations from federal/state agencies and integrated system operators into local codes. Guidance: Monitor ongoing developments in federal and state energy storage policy and provide clarity about the use of energy storage systems to the community on an annual basis, if regulations change. [F1] Publicize existing state and federal incentives to support the adoption of energy storage techologies. Guidance: Publicize available rebates and incentives for energy storage systems that are offered by state, federal, and local governments as well as the local utility. This can be done via marketing materials or by providing information on the municipal web site. [F2] Provide incentives to support the adoption of energy storage technologies. Guidance: Convene a working group composed of regional stakeholders and government agencies to evaluate the feasibility of an incentive program for energy storage systems in qualifying public facilities or those that already have on-site renewable energy systems. [F3] Collaborate with local financial institutions to provide loans for energy storage systems. [F4] Ensure energy storage systems are eligible under local Propery Assessed Clean Energy (PACE) program. Guidance: Explore joining a Property Assessed Clean Energy (PACE) financing program where allowed. Ensure that energy storage system installations are an eligible energy upgrade measure. [M1] Provide educational materials related to energy storage techologies to build community awareness. Guidance: Publicize energy storage educational resources to local residents and businesses via marketing materials and brochures, or by providing links and information on a designated clean energy resources page on the municipal web site. [M2] Create a working group to explore the role of energy storage in community emergency preparedness plans. Guidance: Form a working group of local government agencies, emergency responders, and other relevant stakeholders to determine how energy storage systems can strengthen local efforts related to emergency preparedness and disaster management. [M3] Implement a pilot microgrid project at a municipal facility that includes energy storage. Guidance: Convene a working group to evaluate the feasibility of implementing a microgrid project at a public facility that incorporates energy storage with on-site renewables to provide a resilient source of power. [M4] Encourage local electric utilities to promote energy storage technologies in their service territories. Guidance: Publicize information regarding regional "smart grid" upgrades and other measures undertaken by the local utility, including those that utilize energy storage systems as a demand response technology. Electric vehicles are typically classifed as either all-electric vehicles (EVs), which store all their energy in batteries, or plug-in hybrids (PHEVs) that store some energy in batteries and have a gasoline engine to extend range. Conventional hybrids have batteries, but all their energy comes from gasoline. The main source of energy for electric vehicles is domestically generated electricity, which promotes low-carbon, energy secure communities. [P1] Adopt a standardized permitting application form for electric vehicle supply equipment (EVSE). Guidance: Adopt a standard permit application for electric vehicle supply equipment at AC Levels 1 and 2 (120V and 208/240V, respectively). Application should include a plot plan, an electrical load worksheet, as well as manufacturer information for the unit. [P2] Create a webpage or document that provides an overview of the permitting and inspection process for EVSE. Guidance: Provide clear written instructions on permitting and inspection processes for electric vehicle supply equipment on the municipal website. Include a checklist of required application materials and permits, a permit fee schedule, as well as information regarding available rebates and incentives. [P3] Offer expedited permitting or priority plan check for qualifying EVSE installations. Guidance: Consider implementing a same-day over-the-counter permit (OTC) approval process for qualifying electric vehicle supply equipment installations that utilize a standard application form. [P4] Offer reduced fees for Level 1 and 2 EVSE installations or base fee on cost recovery. Guidance: Level 1 and 2 electric vehicle supply equipment fees should be subject to a flat fee based on level, or based on cost recovery and subject to a reasonably determined fee cap. [P5] Create inspection checklists for EVSE installations and make publicly available. Guidance: Utilize a standard inspection checklist for electric vehicle supply equipment that contains local code requirements, points of emphasis, and common issues. Make checklist available to public via municipal web site. [P6] Support electric utility efforts to minimize grid impacts by notifying the local utility when EVSE permits have been issued. Guidance: Establish a formal process for notifying local utility when a permit for electric vehicle supply equipment has been issued, as well as the charger's voltage and estimated load. [Z1] Integrate EV charging station deployment goals into long-term planning documents. Guidance: Incorporate electric vehicle charging station deployment goals as well as related supporting policies and strategies within energy action plans and climate action plans, as well as broader local and regional planning efforts. [Z2] Update zoning and parking codes to facilitate access to and use of EV charging infrastructure. Guidance: Establish working group to update zoning codes and parking codes to increase access to EV chargers, establish reasonable restrictions or incentives for their use in qualifying areas, and ensure that publicly available electric vehicle charging infrastructure meets federal and state accessibility provisions. [Z3] Update local building codes to accommodate electric vehicle charging infrastructure. Guidance: Establish a working group to update local building codes to include specifications for electric service requirements for electric vehicle supply equipment as well as installation recommendations for various building types. [Z4] Develop a site priority plan to encourage appropriate placement of charging stations. Guidance: Convene a working group to develop a site priority plan for installing publicly accessible electric vehicle supply equipment. Plan should take into account local supply and demand, the potential user base, and site design considerations. [F1] Publicize state and federal incentives to support electric vehicle adoption. Guidance: Publicize available rebates and incentives for electric vehicles as well as electric vehicle supply equipment that are offered by state, federal, and local governments as well as the local utility. This can be done via marketing materials or by providing information on the municipal web site. [F2] Explore the creation of a local low-interest loan program for EV infrastructure projects. Guidance: Encourage local financial institutions to establish low-interest financing programs for clean energy upgrades and evaluate the feasibility of a partnership between the local government and a financial agency to do so. Promote existing programs through community outreach channels. [F3] Ensure that EVSE are eligible in local Propery Assessed Clean Energy (PACE) program. Guidance: Explore joining a Property Assessed Clean Energy (PACE) financing program where allowed. Ensure that electric vehicle supply equipment installations are an eligible energy upgrade measure. [M1] Provide educational materials related to electric vehicles and charging infrastructure to community. Guidance: Publicize educational resources regarding electric vehicles, their benefits, and ongoing local deployment initiatives to local residents and businesses via marketing materials and brochures, or by providing links and information on the municipal web site. [M2] Encourage local employers to install workplace charging stations. Guidance: Explore the creation of an incentive program for employers to install electric vehicle charging stations for the public and their employees. Publicize the benefits of workplace charging stations to the community via community outreach campaigns that specifically highlights any employers that have already installed chargers. [M3] Conduct community outreach to residents and businesses about electric vehicle readiness. Guidance: Conduct community outreach regarding ongoing electric vehicle deployment efforts and the benefits of utilizing electric vehicles. Local governments can host informational events for the public or provide educational brochures. [M4] Adopt a sales tax exemption or property tax exemption for EV charging infrastructure. Guidance: Explore the feasibility of enacting property tax and sales tax exemptions for electric vehicle supply equipment that is sold and installed on properties within the jurisdiction. [M5] Organize a collaborative procurement for electric government fleets and charging stations. Guidance: Convene a working group composed of local governments across the region to evaluate the feasibility of a collaborative procurement initiative to purchase electric vehicles for local governments fleets and/or electric vehicle supply equipment for public use. [M6] Adopt a purchasing policy that replaces existing municipal fleet with EVs and other low-emission vehicles. Guidance: Convene a working group to revise local agencies' purchasing policies with criteria and purchasing specifications that encourage the purchase of electric vehicles and other low-emissions vehicles. [M7] Develop and implement EV charging solutions for multi-unit dwelling (MUD) properties. Guidance: Establish a working group of planning and building officials as well as community stakeholders to develop and implement electric vehicle charging solutions for multi-unit dwelling (MUD) properties, such as building code updates and mutually supportive policies. Provide MUD property owners with guidance regarding electric vehicle supply equipment. [M8] Create a program that encourages commercial organizations to adopt green fleets. Guidance: Convene a working group to develop a recognition program for local businesses and organizations that make use of electric vehicles and low-emissions vehicles in their commercial fleet. Publicize technical assistance programs, such as the National Clean Fleets Partnership, and other resources to fleet managers. [M9] Publicize available trainings that certify electricians in installing electric vehicle supply equipment (EVSE). Guidance: Publicize trainings and educational resources related to electric vehicles and EVSE installation through various community outreach channels. Consider organizing a training event to generate awareness of local codes and standards. [U1] Provide electric vehicle resources for residential and non-residential customers, such as interconnection guides and rate calculators. Guidance: Publicize relevant educational resources regarding electric vehicles to utility customers via the utility website. [U2] Create a residential EV charging installation program. Guidance: Convene a working group to facilitate the deployment of publicly accessible electric vehicle chargers in residential areas. [U3] Offer on-bill financing or repayment for electric vehicle supply equipment. Guidance: Convene a working group to evaluate the feasibility of establishing an on-bill financing program for electric vehicle supply equipment and other energy efficiency measures, with consideration to consumer lending laws and available financing resources. [U4] Convert appropriate portion of utility fleet to electric vehicles. Guidance: Convene a working group to introduce electric vehicles and other low-emissions vehicles into the existing utility fleet in order to reduce operating and maintenance costs for vehicles as well as demonstrate clean energy leadership. Explore updating company purchasing policies with criteria favoring low-emissions vehicles. [U5] Establish electric vehicle rate plans that encourage customers to charge during off-peak hours. Guidance: As a part of larger planning efforts related to electric vehicles and grid staibility, convene a working group to develop a rate plan for customers with electric vehicles that incentivizes charging during off-peak hours. [U6] Include grid upgrades for EV charging infrastructure and other EV considerations in integrated resource plans/internal plans. Guidance: As a part of the integrated resource planning process, convene a working group to specifically analyze the impact of electric vehicles on the electricity grid. Coordinate with local agencies to align regional electric vehicle deployment strategies with the utility's integrated resource planning process. Efficient cities powered by renewable energy are pioneering new approaches to sustainable communities. With motivations ranging from low carbon planning to energy security, cities around the world are implementing initiatives to support accelerated deployment of clean energy technologies. This focus area provides a suite of high-level policies and programs that have been implemented to support clean energy goals, such as energy benchmarking, green building codes and optimization strategies. [POL1] Set an energy efficiency target for existing municipal facilities and create an energy reduction plan to achieve goal. Guidance: Organize stakeholder meeting to discuss the benefits and feasibility of setting an energy efficiency and/or energy reduction target with a goal year for municipally owned and operated buildings. Implementation of such a goal should include regularly occurring energy benchmarking to track progress. [POL2] Establish renewable energy target for municipal facilities and create a project plan. Guidance: Organize stakeholder meeting to discuss benefits of setting a renewable energy target for municipal facilities, which may be specified as an installed capacity goal or a minimum share of municipal electricity usage generated from renewable sources, and passed as an ordinance or incorporated into sustainability plans. [POL3] Create a electric vehicle community infrastructure readiness plan. Guidance: Explore the creation of a community-wide electric vehicle readiness plan that specifies strategies and measures to facilitate electric vehicle adoption. [POL4] Implement a high-performance lease policy for municipal facilities. Guidance: Create a high-performance lease policy that ensures energy efficiency in leased municipal facilities by requiring a minimum ENERGY STAR score or compliance with locally recognized green building standards. [POL5] Purchase renewable power to meet municipal building portfolio's energy needs. Guidance: Organize a stakeholder meeting to explore the feasibility of purchasing green power to offset a portion of municipal building energy consumption. [POL6] Establish clean energy procurement policies and programs for municipal agencies. Guidance: Explore the creation of an energy efficient procurement policy as well as opportunities for cost-effective clean energy procurement, such as collaborative procurement initiatives between two or more municipal agencies or municipality-sponsored bulk purchasing programs for municipal employees and local businesses. [POL7] Require energy benchmarking and public disclosure for all municipal buildings. [POL8] Require energy benchmarking and public disclosure for commercial buildings. Guidance: Establish a policy that requires annual or semi-annual benchmarking of commercial buildings above a certain square footage and publicly disclose the results online. [POL9] Develop commissioning and retro-commissioning policies and procedures. Guidance: Develop commissioning and retro-commissioning policies and procedures that optimize the energy performance of new and existing buildings, such as energy audits and energy action plans. [POL10] Adopt Residential Energy Conservation Ordinance (RECO) requirement for home sales. Guidance: Establish a Residential Energy Conservation Ordinance that requires homeowners to ensure that their properties meet municipally-determined energy and water efficiency standards before they may be sold or receive a rental license. [POL11] Implement a community choice aggregation program. Guidance: Establish a working group to evaluate the feasibility and benefits of establishing or joining an existing community choice aggregation to secure an alternative energy supply contract, if such arrangements are legally permitted within the state. [POL12] Create an efficiency portfolio standard for municipal electric utility. Guidance: Establish a working group to evaluate the feasibility of adopting an energy efficiency portfolio standard that specifies required levels of municipal utility customer savings. [POL13] Create renewable portfolio standard for municipal electric utility. Guidance: Establish a working group to evaluate the feasibility of adopting an renewable portfolio standard for the municipal facility, or one that exceeds state requirements if a state RPS exists. [Z1] Incorporate clean energy goals into strategic planning initiatives. Guidance: Incorporate strategies and guidelines to reduce energy use, increase energy efficiency, and receive energy from renewable sources into comprehensive plans, energy action plans, and climate action plans, as well as broader local and regional planning efforts. [Z2] Adopt green building code requirements for new municipal buildings that meet or exceed LEED or comparable standard. 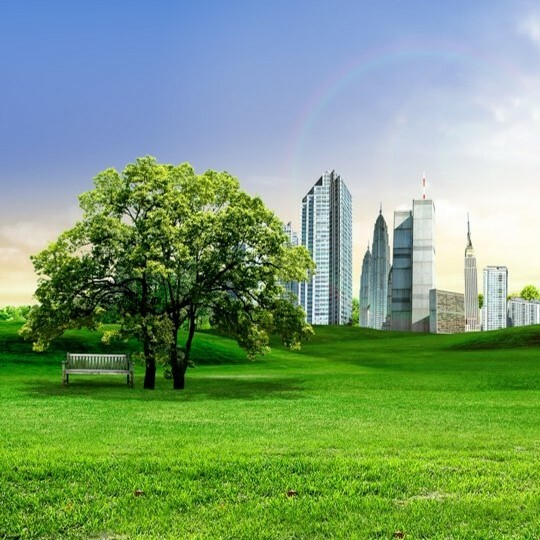 Guidance: Develop municipal green building code requirements that establish minimum energy efficiency standards for new construction and exceed existing state requirements. [Z3] Adopt green building code requirements for new commercial buildings that meet or exceed LEED or comparable standard. Guidance: Develop municipal green building code requirements that establish minimum energy efficiency standards for new commercial buildings and exceed existing state requirements. [Z4] Offer permitting and/or zoning fee reductions for green building projects. Guidance: Establish permitting and/or zoning incentives for green building and renewable energy projects, such as permit fee reductions and rebates upon project completion. [Z6] Provide guidance for clean energy upgrades in historic buildings. Guidance: Establish a working group between public and private stakeholders to evaluate the feasibility of establishing an EcoDistrict, a long-term neighborhood revitalization initiative based upon sustainable design principles. [M1] Provide comprehensive clean energy educational resources to the community. Guidance: Publicize clean energy educational resources and tools to local residents and businesses via marketing materials and brochures, or by providing links and information on the municipal web site. [M2] Join the ENERGY STAR or Better Buildings Challenge to promote reduction of energy use in buildings. Guidance: Explore joining a national program such as ENERGY STAR or the Department of Energy's Better Buildings Challenge to gain access to technical assistance, peer networking, and goal-setting tools for improving building energy performance within the community. [M3] Develop recognition or award programs for developers and homeowners to promote green building practices. Guidance: Explore partnering with local chapters of national green building organizations to create a recognition program for local green building projects. [M4] Create a Net Zero Energy Building action plan for the commercial building sector. Guidance: Convene a working group of stakeholders to evaluate the feasibility of a Net Zero Energy action plan for selected commercial buildings, in which energy consumption is offset by renewable energy and energy conservation measures, and steps for implementation. [M5] Provide training and certifications for public agency staff to fulfill clean energy policy requirements. Guidance: Publicize webinars, trainings, and educational resources related to clean energy and green building policies and standards amongst public agency staff. [M6] Implement an energy upgrade program for the residential sector. [M7] Implement a green business program to provide recognition for private sector leadership on environmental initiatives. Guidance: Create a green business program that provides basic technical assistance to local businesses seeking to adopt more sustainable business practices and publicly recognizes their efforts. 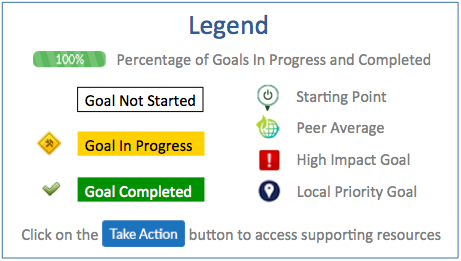 [M8] Explore the implementation of a behavioral change pilot program in your community. Guidance: Convene a working group between the local utility, municipal staff, and other relevant stakeholders to design and implement a behavior based energy efficiency program in the community. [M9] Explore the creation of a clean energy mapping tool to demonstrate market potential in community. Guidance: Explore the creation of a web-based clean energy mapping tool that displays the location of local clean energy projects or visualizes clean energy potential. Mapping tools may be proprietary or utilize web platforms such as Google Earth. [M10] Explore the creation of a district energy demonstration project for heating, cooling, and electricity. Guidance: Organize a stakeholder meeting to discuss the feasibility of a district energy demonstration project that produces steam or hot water at a centralized location and distributes it to individual buildings. [F1] Publicize rebates and tax incentives available for residential and commercial clean energy projects. Guidance: Publicize available rebates and incentives for residential and commercial clean energy projects that are offered by state, federal, and local governments as well as the local utility. This can be done via marketing materials or by providing information on the municipal web site. [F2] Publicize existing innovative financing models and tools available for clean energy projects. Guidance: Publicize innovative financing options for clean energy projects, such as group buy programs and Property Assessed Clean Energy financing, to the community via marketing materials and information on the municipal website. [F3] Explore viability of energy savings performance contracting for municipal clean energy projects. Guidance: Convene a working group to evaluate the potential for implementing clean energy upgrades in municipal facilities through energy savings performance contracting. [F4] Explore viability of tax-exempt lease-purchase agreements for municipal facilities. Guidance: Convene a working group to evaluate the potential for financing clean energy upgrades in municipal facilities through lease-purchase agreements. [F5] Explore the creation of a green bond financing program to finance community-based clean energy projects. Guidance: Establish a working group of relevant stakeholders, including any local public agencies with the authority to issue municipal bonds, to discuss the feasibility of issuing green bonds to finance community-based clean energy and green building projects. [F6] Explore the creation of a public benefits fund to finance community-based clean energy projects. Guidance: Establish a working group with the municipal utility and other relevant stakeholders to evaluate the feasibility of establishing a public benefits fund to finance local clean energy projects. [F7] Implement a local Property Assessed Clean Energy (PACE) financing program for clean energy projects. Guidance: Establish a working group to evaluate the potential of a PACE financing program for clean energy upgrades in your jurisdiction, based on national examples by local municipalities. [F8] Create a revolving low-interest loan program for clean energy projects. Guidance: Establish a working group to discuss the establishment of a green revolving fund, which can establish a sustainable funding cycle for clean energy projects. Identify sources of capital and steps to implementation. [F9] Provide property tax incentives for clean energy projects. Guidance: Explore the feasibility of enacting property tax and sales tax exemptions for clean energy technologies that are sold and installed on properties within the jurisdiction. [F10] Offer development grants for green building projects. Guidance: Encourage green building projects by partnering with state and federal agencies to offer grants and incentives for green building projects that offer a public benefit. [U1] Provide customers with easy and secure access to their energy usage information. Guidance: Provide historic electricity use data to commercial and residential customers in an online, easy-to-use format to facilitate the benchmarking process and to understand their building's energy performance. [U2] Create a rebate for customers to install energy efficient equipment, including appliances. Guidance: Convene a working group to evaluate the financial feasibility of energy efficiency rebates and determine what products and services are eligible for financial assistance. [U3] Create a rebate for customers to install renewable energy generating systems. Guidance: Convene a working group to evaluate the feasibility of incentives and/or rebates for renewable energy systems. [U4] Create a on-bill financing/repayment program for clean energy upgrades for residential customers. Guidance: Convene a working group to evaluate the feasibility of establishing a residential on-bill financing program, with consideration to consumer lending laws and feasibly financed measures. [U5] Create on-bill financing/repayment program for clean energy upgrades for commercial customers. Guidance: Convene a working group to evaluate the feasibility of establishing a commercial on-bill financing program, with consideration to consumer lending laws and feasibly financed measures. [U6] Offer ability for residential and commercial customers to participate in demand response program. Guidance: Establish a working group to develop and implement a demand response program for utility customers that aligns with grid stability goals. [U7] Create a distributed energy resource roadmap for integrated resource planning. Guidance: Convene a working group to objectively analyze the potential of demand-side measures and renewable energy sources in the utility territory, and determine how to best integrate clean energy into the resource planning process. [U8] Create a resilience strategy that incorporates clean technologies to protect against severe weather threats. Guidance: Convene a working group to evaluate the applicability of clean energy technologies, such as distributed generation, energy storage, and other smart grid technologies, to support emergency preparedness and response programs.